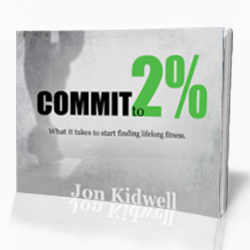 Jon Kidwell Fitness: Fa la la la la la freezing cold! Fa la la la la la freezing cold! Over the river and through the woods from my in-laws house I....ran. Yes, after the delicious and disastrous amount of food I consumed yesterday I felt quite inspired to run. The food hangover combined with the guilt of my sister-in-law, 3 weeks removed from hernia surgery, saying she was going running was enough to urge me out the door. Out the door and in to the cold, frozen tundra of Mid-Michigan. The iPhone reported the temperature at 30 degrees. The howling wind from the North dropped the temperature to a winter-y 20 or 25 degrees. Unbeknownst to me my 4 year hiatus from a sub-freezing foot dash through the snow thinned out my blood considerably. Even now as I type I can feel the blood flow return to my lower extremities. My Texas compadres will be happy to know I am not impervious to the cold, just to the "Texas cold." I have to say despite the cold, harsh sting of the frozen air in my lungs; my body, my energy level, and belly are thankful for the quick jog through the neighborhood and around the golf course. I know I am not finished enjoying my holiday festivities, but as my travels take me further north (Minnesota) I may need to find an alternative exercise to frolicking in the freezing cold.